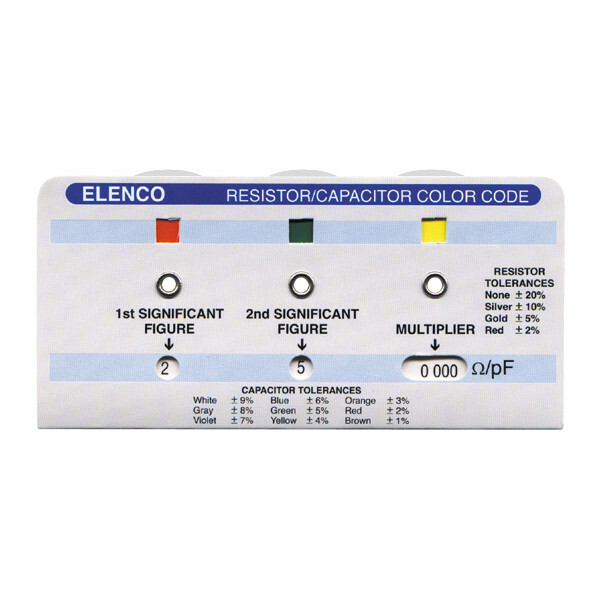 The Color Code Calculator for Resistors, Capacitors and Inductors makes it easy determine color code values. This handy pocket sized tool is a must have for any electronic toolbox. It's fast and easy to use. 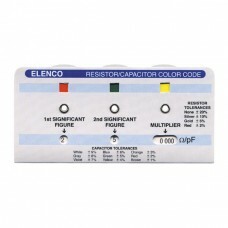 Simply turn the dials to match the color codes and read the resulting value. No batteries required.